Ack! I don’t think I’ve ever gone this long without updating my blog when starting a trip before now, but this one has been a bit of a whirlwind. But definitely fun! I’ve already been to Brighton, Swansea, and Cardiff and I’m now ensconced in a hotel in London, where I’ll be for the rest of my trip. Don’t worry though – I’ve been having a great time and I intend to provide a full recap on what I’ve been up to – just not in the daily posts I generally do. 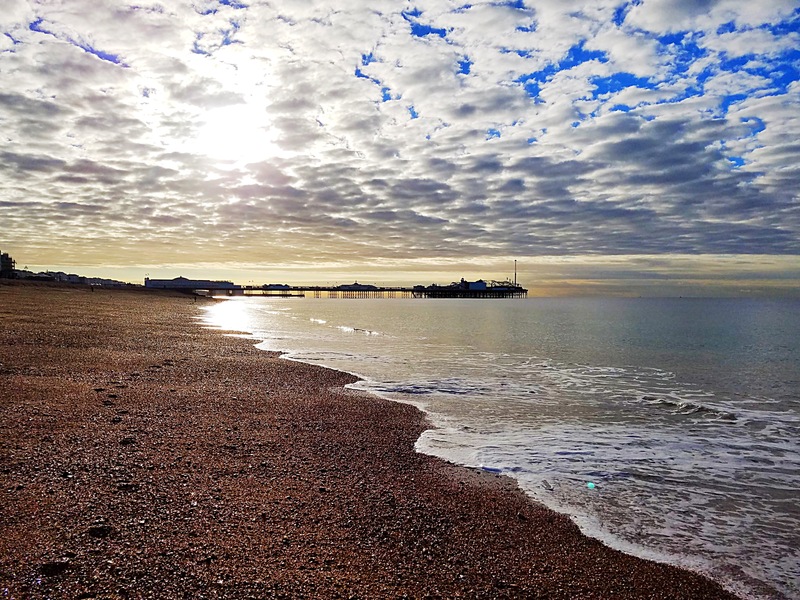 First up, my (brief) time in Brighton! It’s now Monday evening and I arrived in the UK last Thursday around 1p. In my experience, the direct flight from Minneapolis to London usually lands a bit early due to good tailwinds, but that didn’t happen this time because there were storms in Minneapolis the evening I flew out. By the time we taxied out to the runway, there were 15 planes in front of us waiting to take off! There was a bit of turbulence shortly after takeoff, but nothing too bad and the rest of the flight went smoothly. I chose a seat in Delta’s Comfort+ as usual and there were quite a few empty seats, so I didn’t have anyone next to me, which is always nice. Of course, I didn’t get much sleep on the flight, but I did doze periodically, so that probably helped me a bit by the time we landed in London. We were just about an hour late by the time we landed in London, which normally wouldn’t be a big deal, but I had already booked a National Express bus to get from Heathrow to Brighton to meet up with my friend Matt, so the delay meant that I had just over an hour to make the scheduled departure time. I still wasn’t too concerned as the immigration line at Heathrow moves quickly in my experience. 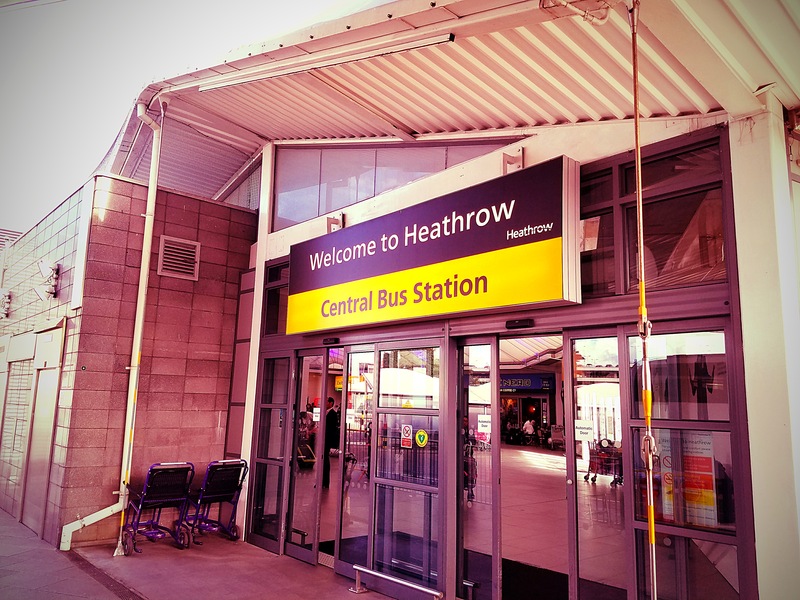 Although it did move quickly, it was longer than usual, so it took about a half-hour to get through (silver lining – my bag was waiting for me as soon as I got my passport stamped). Again, I was hopeful I could still make it work since all I had to do was reach the bus, but the fates were against me in two ways: I saw no signage for National Express (helpful tip – just follow signs for the Central Bus Station) and I had booked a departure from T4 as that’s where Delta operated their Heathrow service until a short time ago, when they moved to T3. Ah, travel frustrations! But the issue was quickly resolved by stopping by the National Express desk in the bus station (once I followed the signs to get there), where a very friendly agent changed my ticket to the next bus, which was leaving about 20 minutes later. 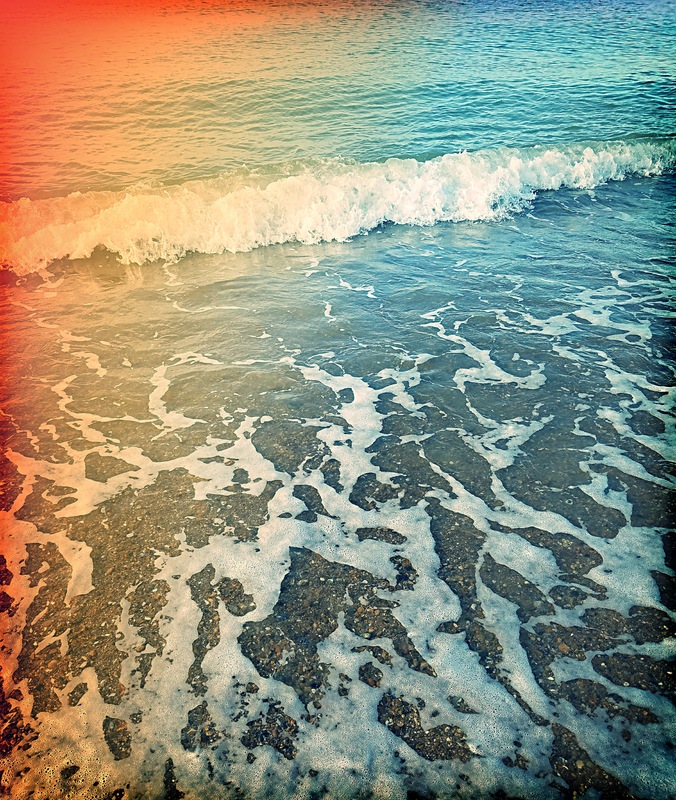 At the end of it all, I got on a bus and made it to Brighton and that’s all I wanted. Success! Yes, I did finally reach the bus station! 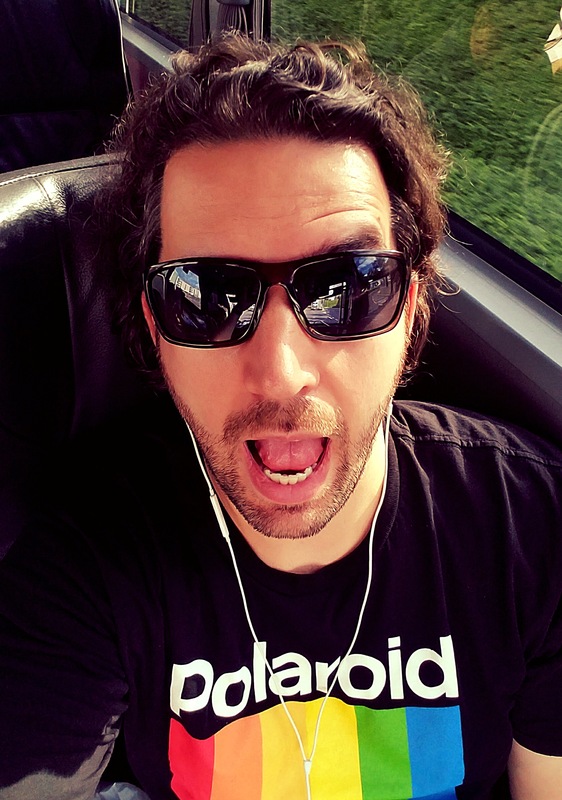 I thought a selfie might help keep me awake on the trip to Brighton. 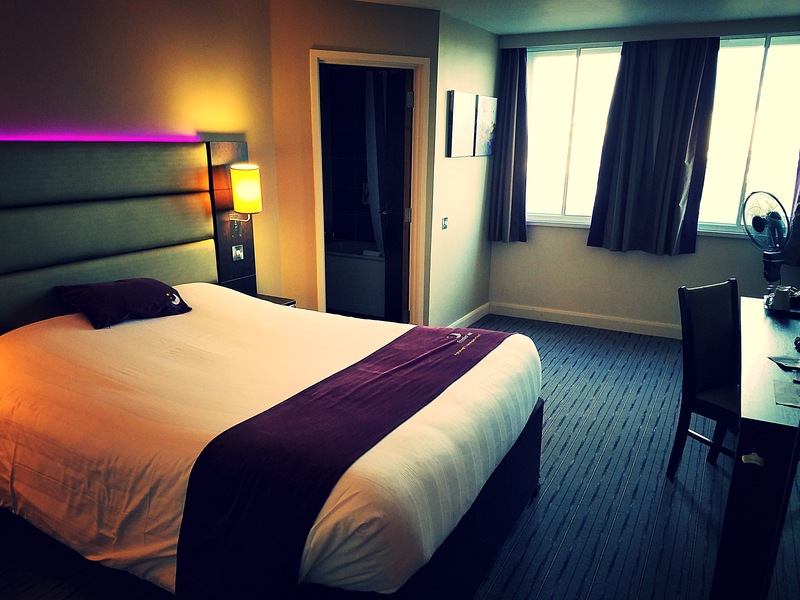 My very serviceable home away from home in Brighton. 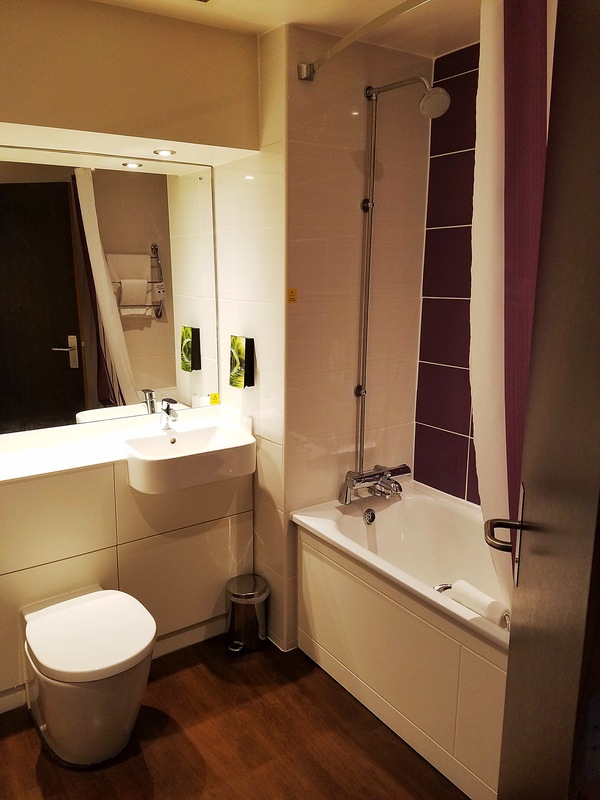 Good bathroom with strong water pressure – a must! 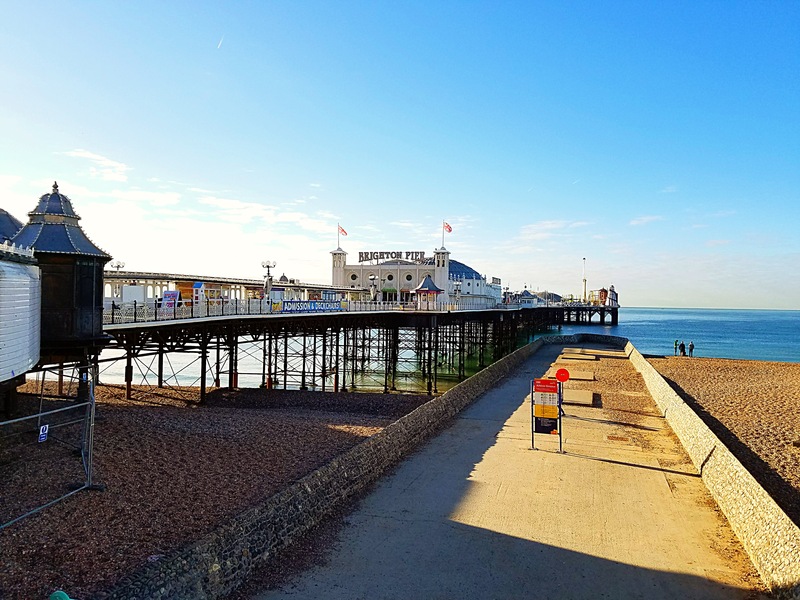 So, why Brighton? The weekend destination was the Regenerations convention in Swansea, Wales, so Matt and I (along with another friend) planned to drive from Brighton to Swansea on Friday, so I made Brighton my first stop. As an added bonus, I have several other friends in Brighton, so going there gave me a chance to see them! And see them I did when we all had a nice dinner at ASK Italian, which was conveniently just down the road from my room at the Premier Inn (the same hotel I’d stayed at when I was in Brighton in 2014 and 2015). It was a great night, though I started to fade pretty quickly by the end of dinner, so it was off to bed for me. 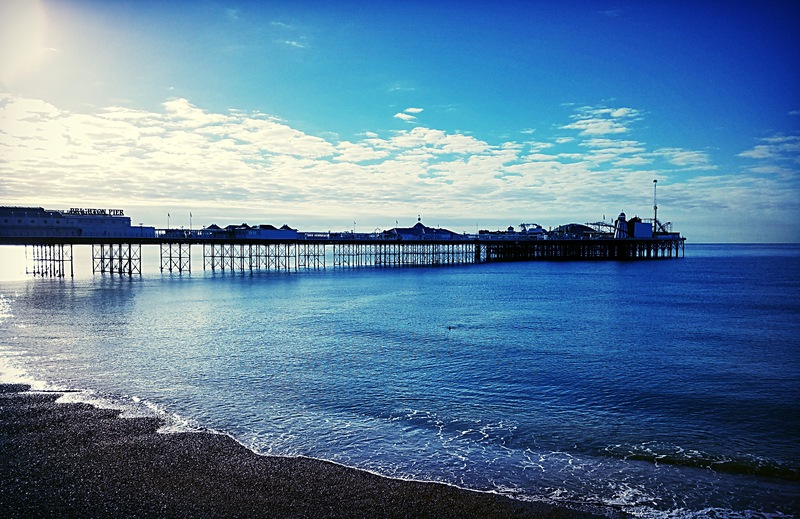 The next morning, I felt (fairly) refreshed and had time for a walk in the bright sunshine before meeting up with my friends to start our road trip, so check out the pictures from that below. 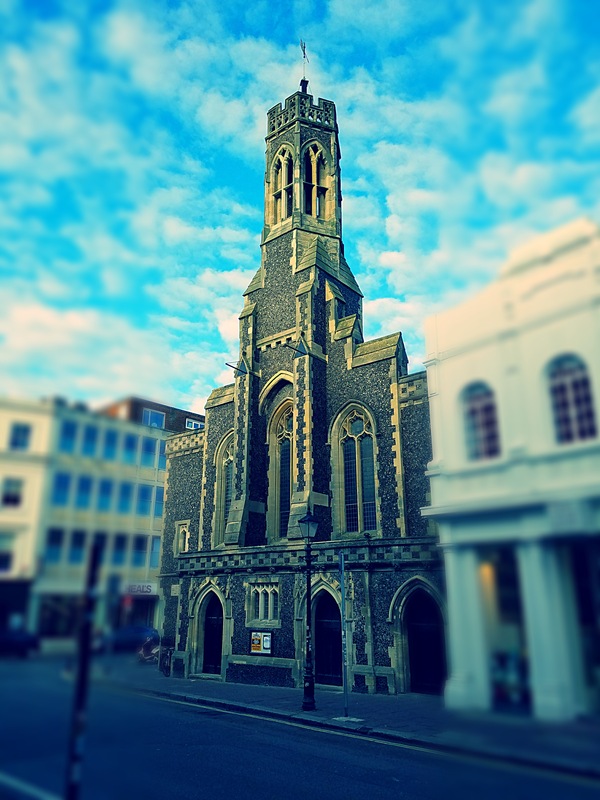 This former church is home to Fabrica, a visual arts organization. 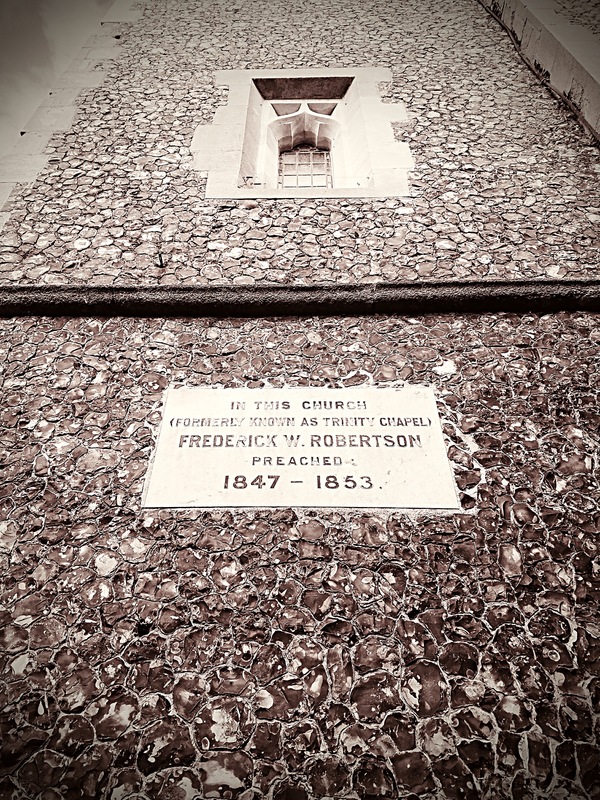 Fabrica was Trinity Chapel in a former life. 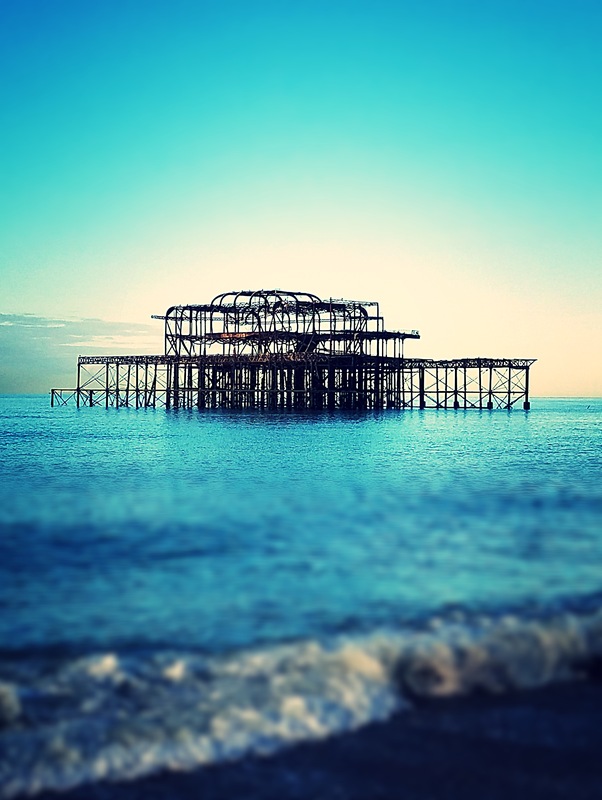 The ruins of the West Pier, which was last open in 1975. Brighton Pier, on the other hand, is alive and well. 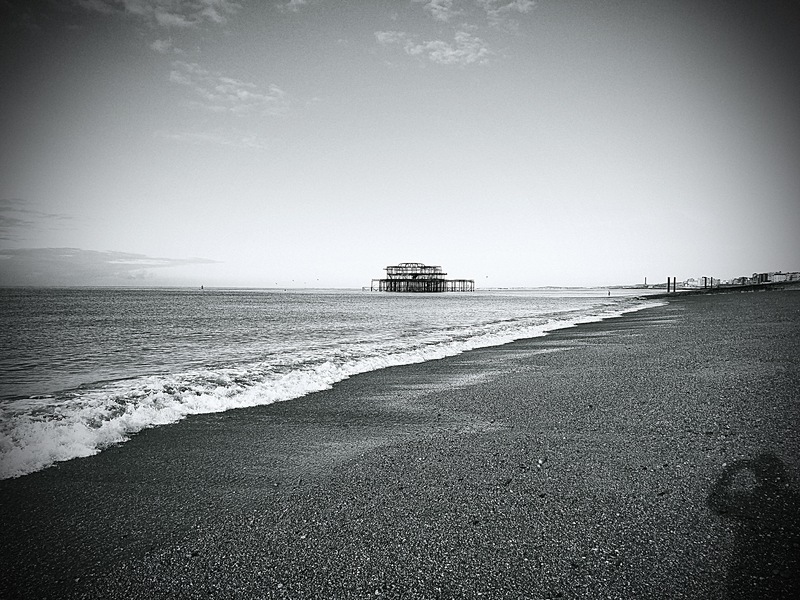 A closer shot of the West Pier. The new British Airways i360. 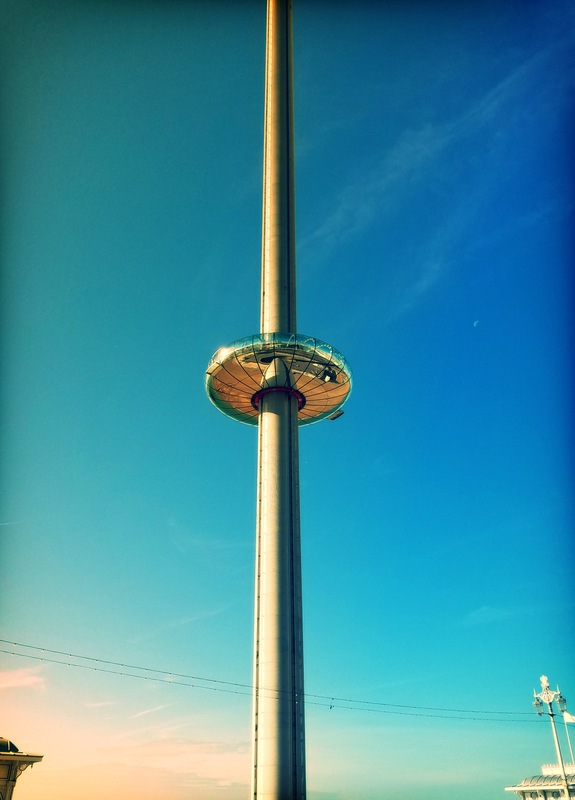 You can pay £15 to go to the top of the pole, which I may have to do the next time I’m in Brighton (update – I did go on it with Scott and Matt in August 2017). 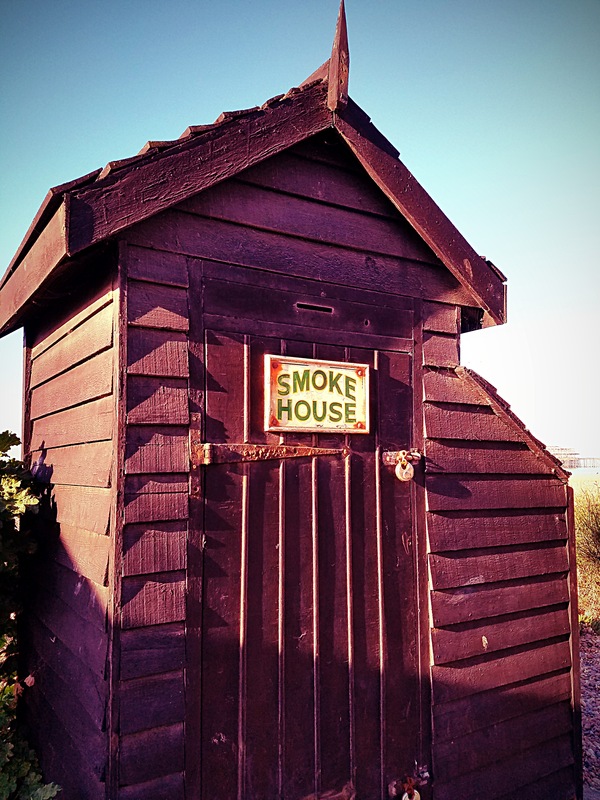 I’m guessing this smoke house belongs to one of the many restaurants along the seafront. 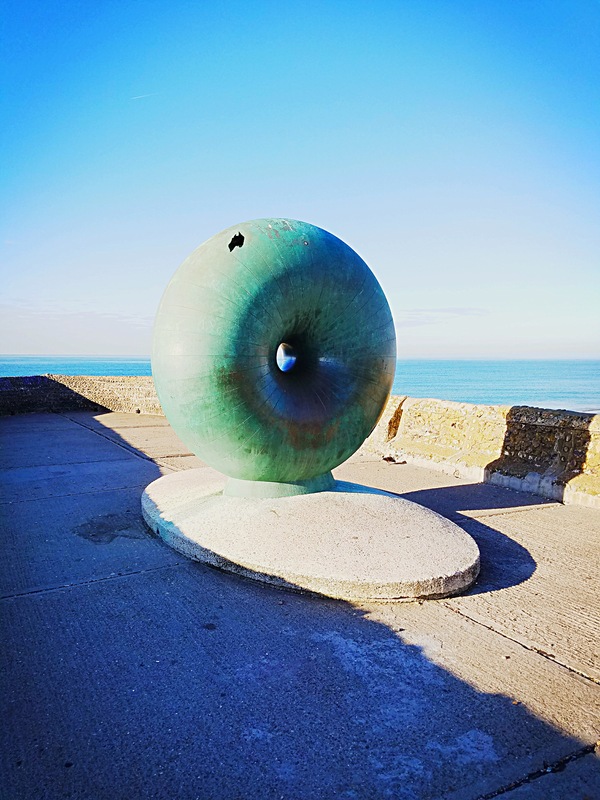 The donut sculpture near Brighton Pier. Isn’t all that sun great?? 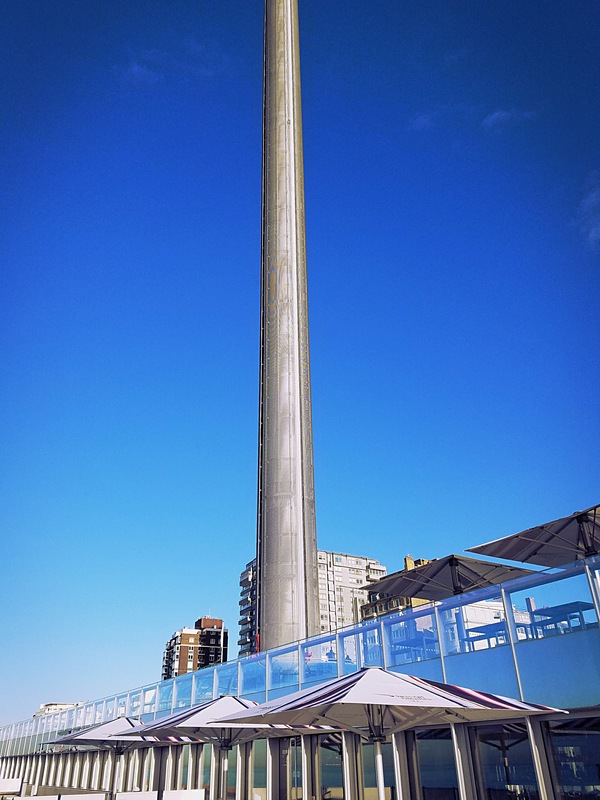 Another shot of the i360, this time with people going up (snapped on the way to my friend Matt’s place). After that lovely walk, I made a quick stop at the Red Roaster to say goodbye to my friend Steve (fun fact – we once saw Renee Zellweger in that coffee shop) and then got scrubbed up and headed for Matt’s house. We picked up our friend Douglas on our way and then we were off! Next episode – a Welsh weekend of Doctor Who fun!